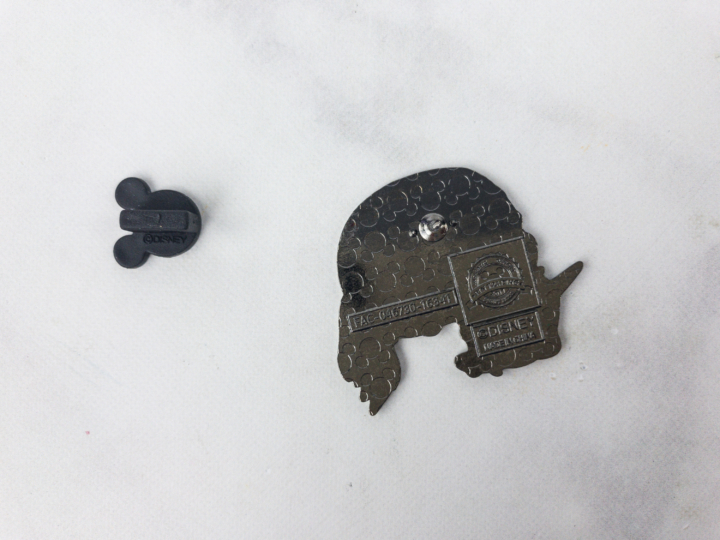 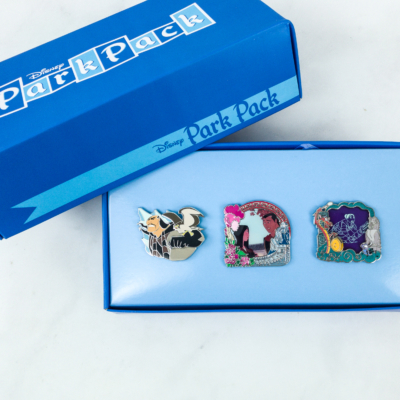 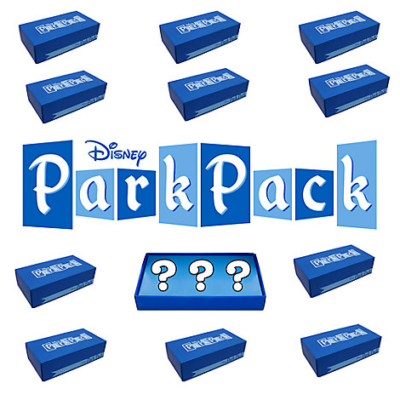 Here are the Park Pack pins for June! 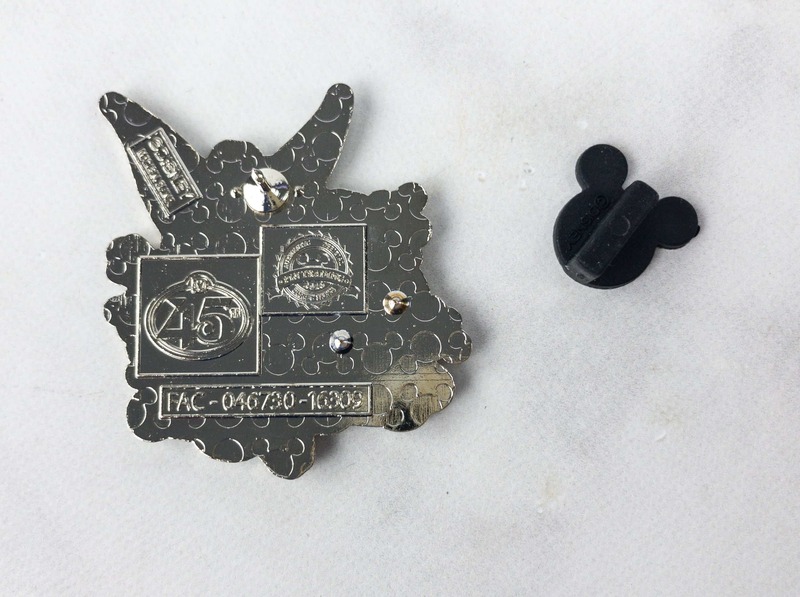 There is no information card for this box, and I alawys wish they’d included a curator’s note – maybe with names for these pins and perhaps a matching exclusive postcard. 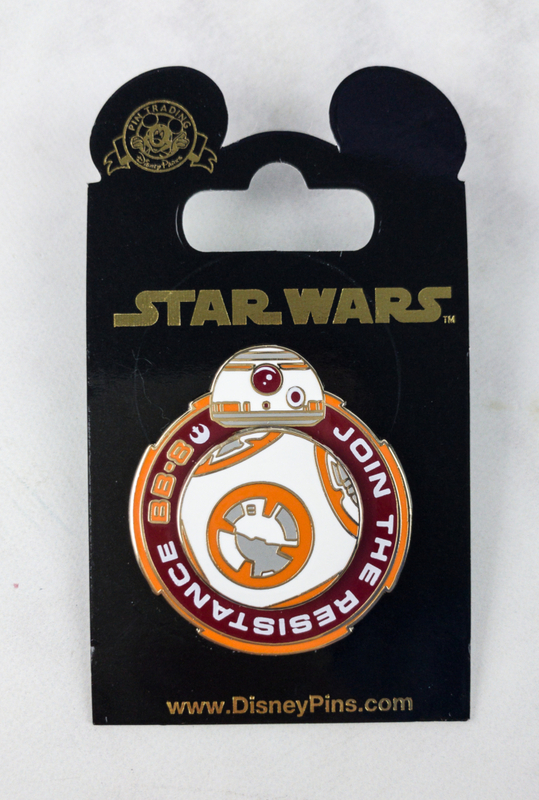 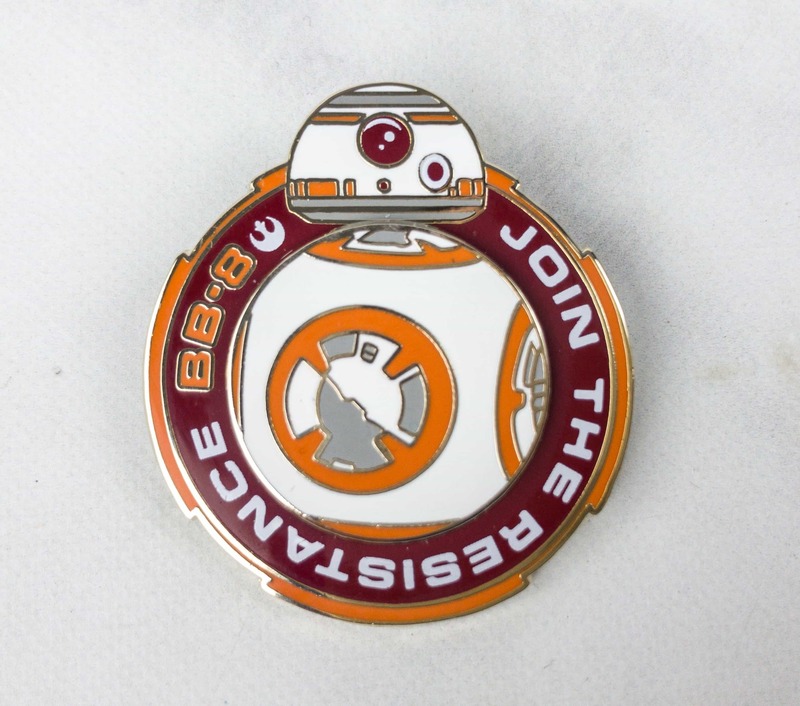 It’s great to see a pin with a feature and the spinner “belly” on BB-8 is perfect! 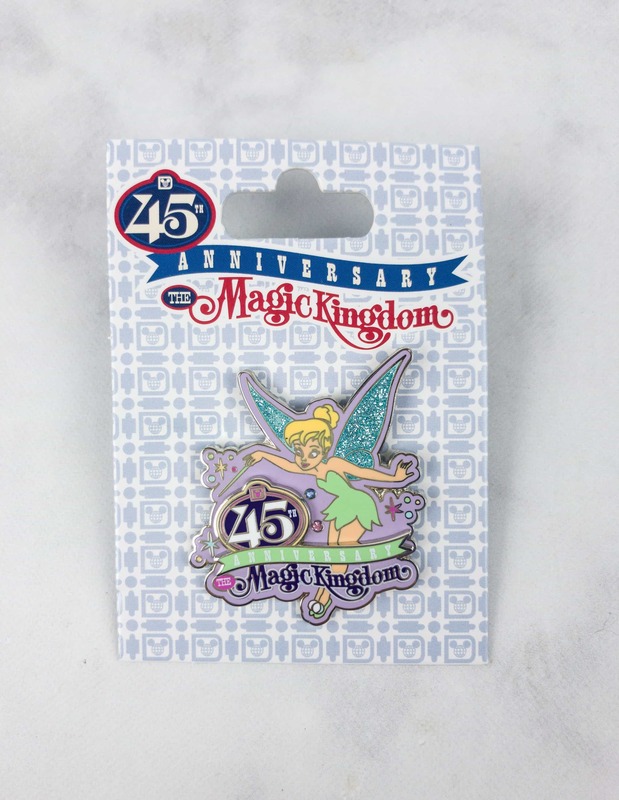 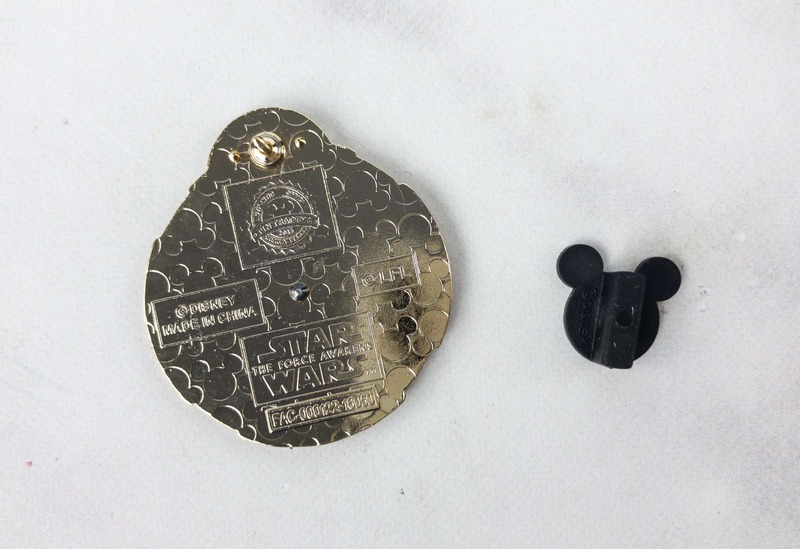 Disney The Magic Kingdom 45th Anniversary Tinker Bell Pin ($23.45) This pin was released fall 2016 – so it’s not even early access to this open edition. 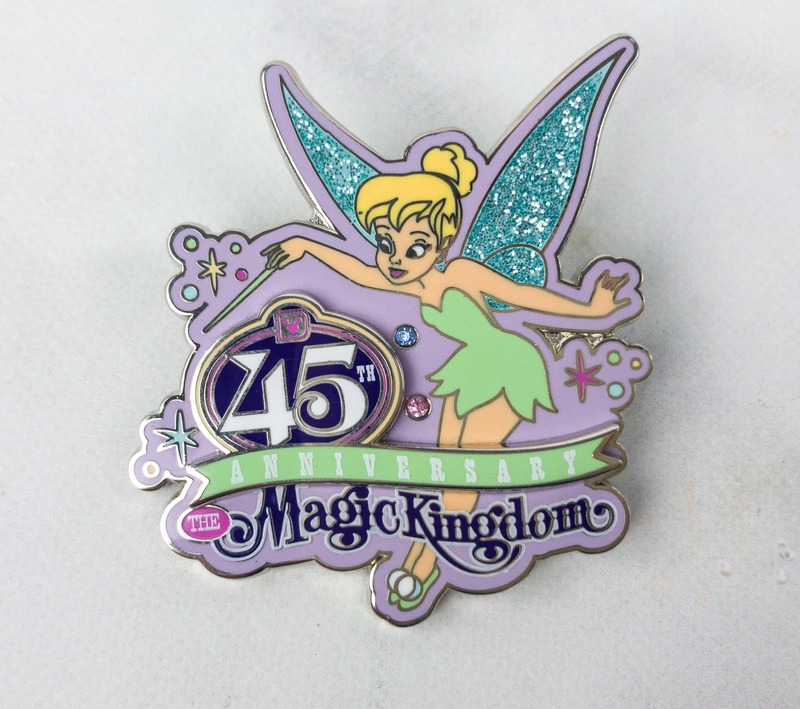 It’s super pretty and I love the gems. 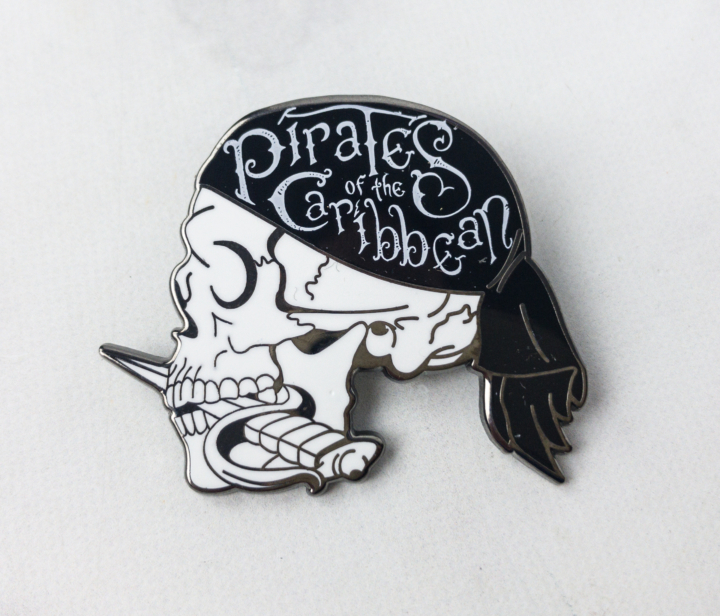 This pin has a sharp black/white/silver design and was released Spring 2017. 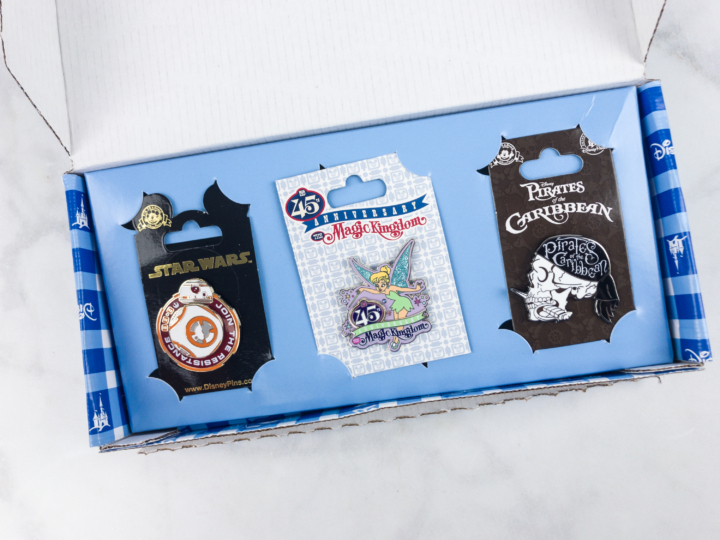 I’m really puzzled with what Disney is doing with this subscription – I have no idea why they brought it back if they’re going to just send out old stock. 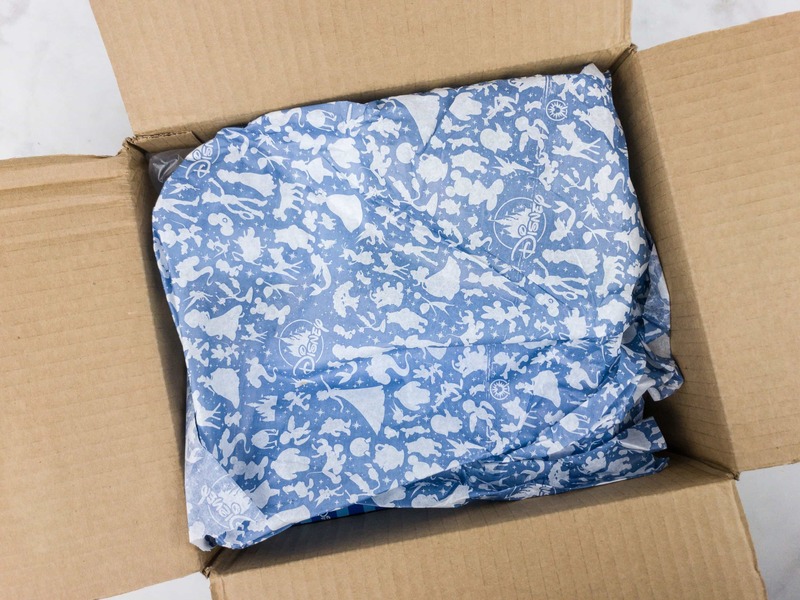 There’s nothing exclusive about the box. 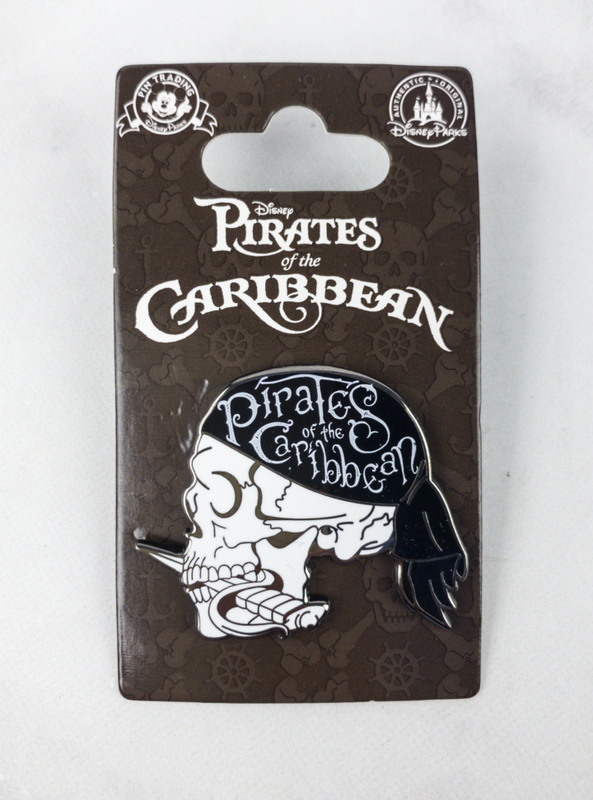 These are good pins – but I’m hearing that heavy traders & collectors already have everything they have been sending out. 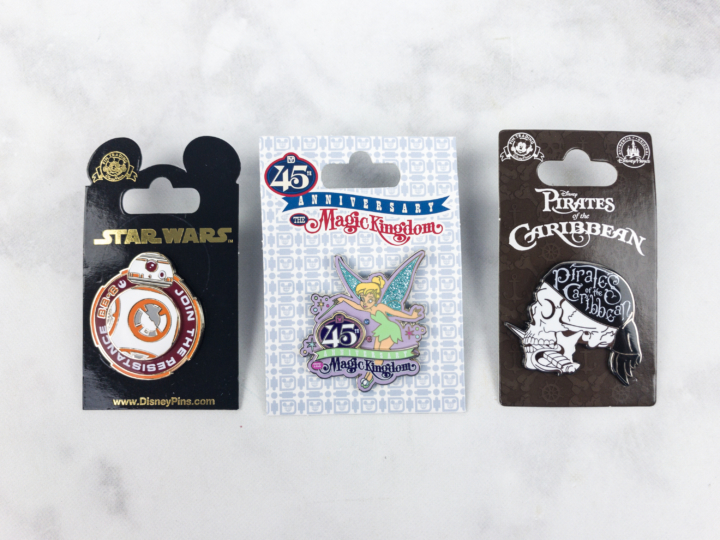 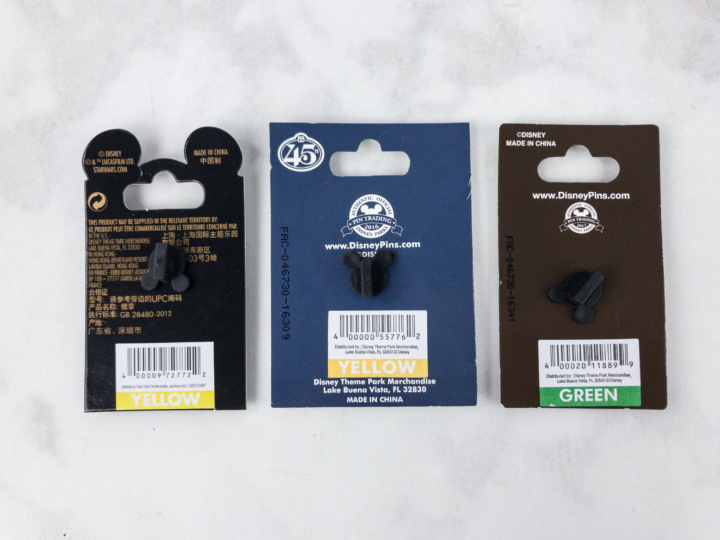 I found a great pin subscription box called Jumbo Pin Surprise you get older pins with a higher quality.